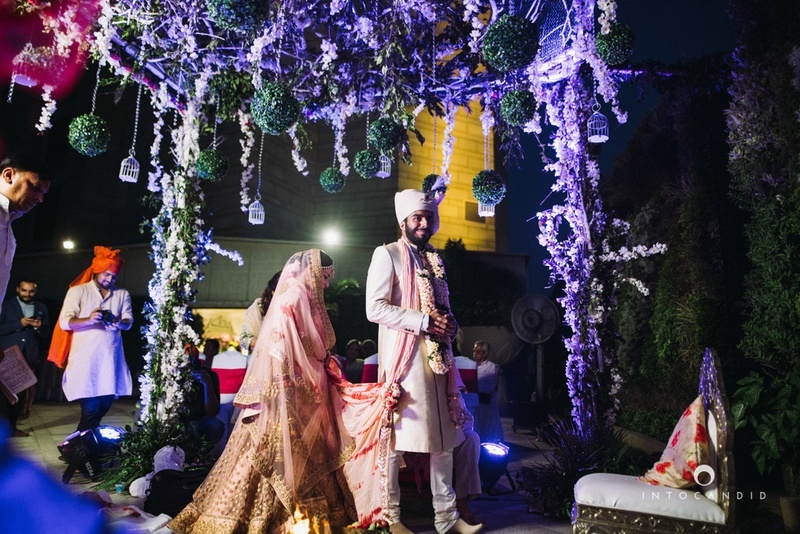 Amongst all the stunning wedding decor, the florally decorated mandap is what we loved the most! 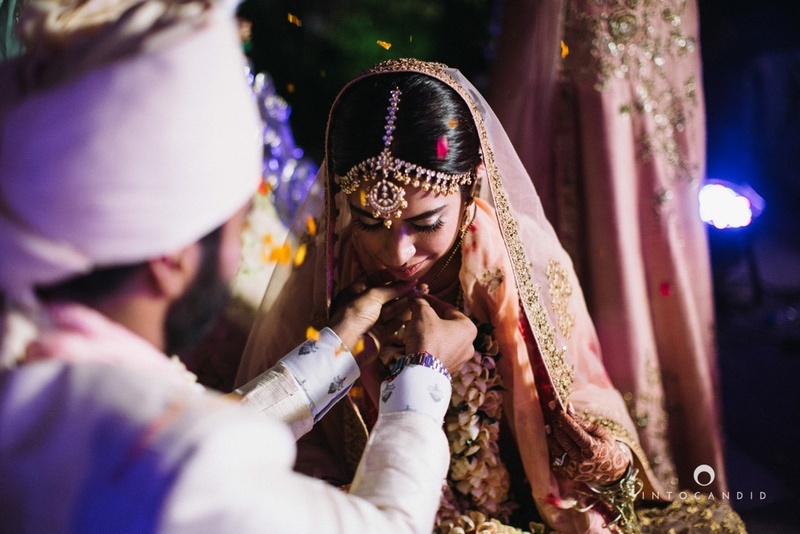 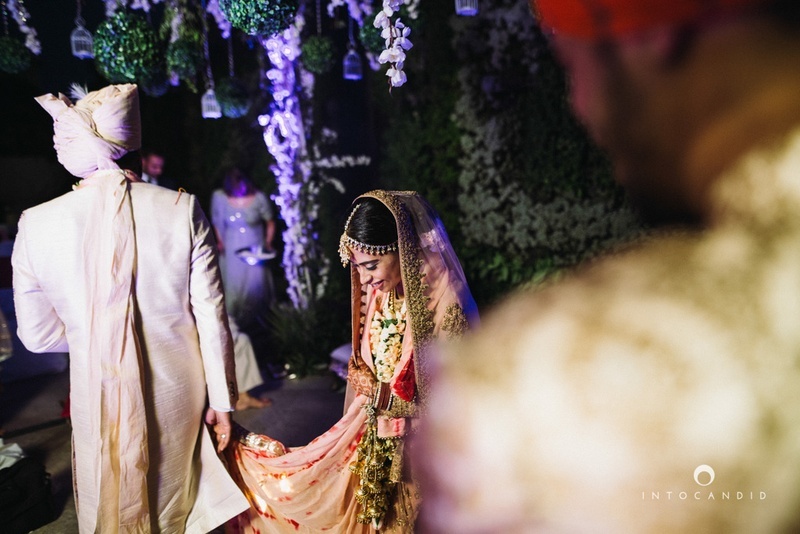 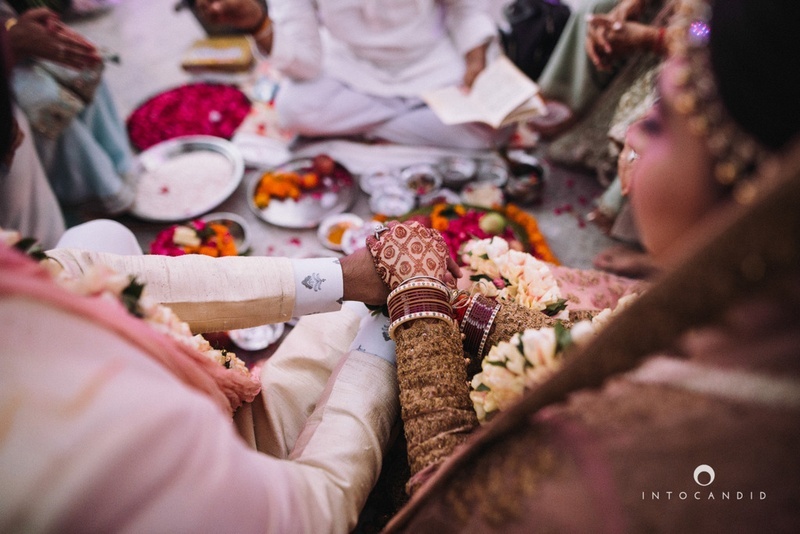 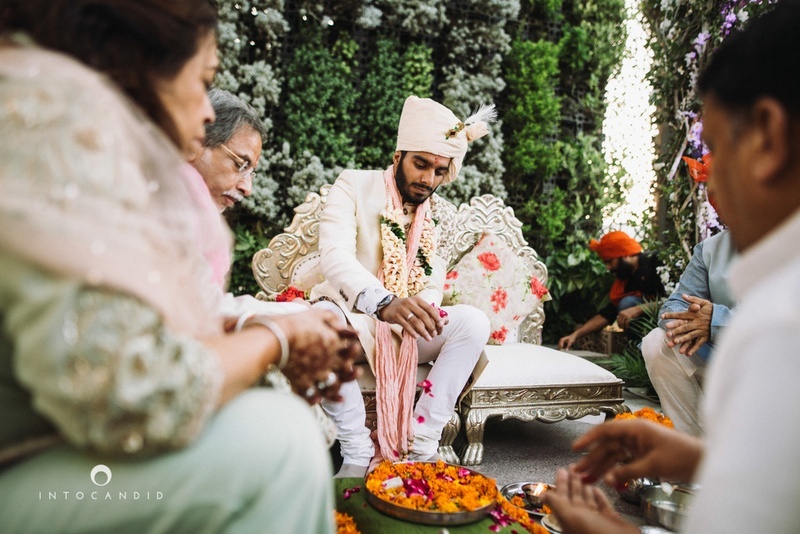 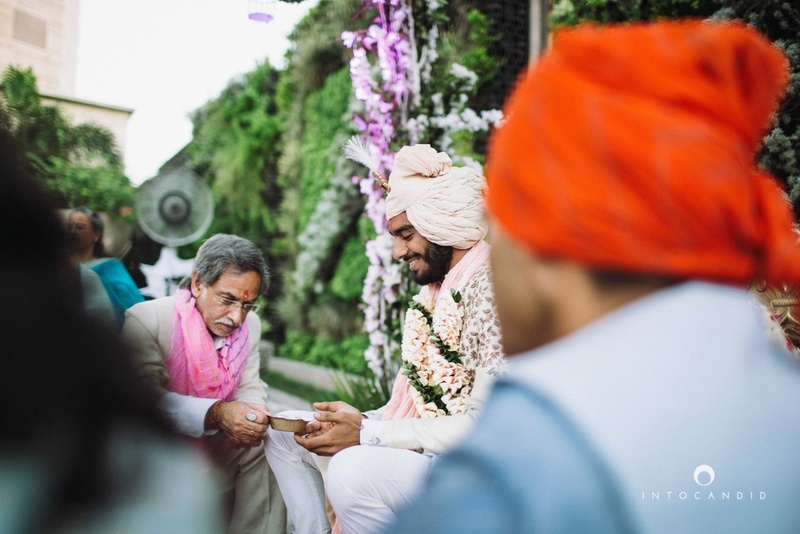 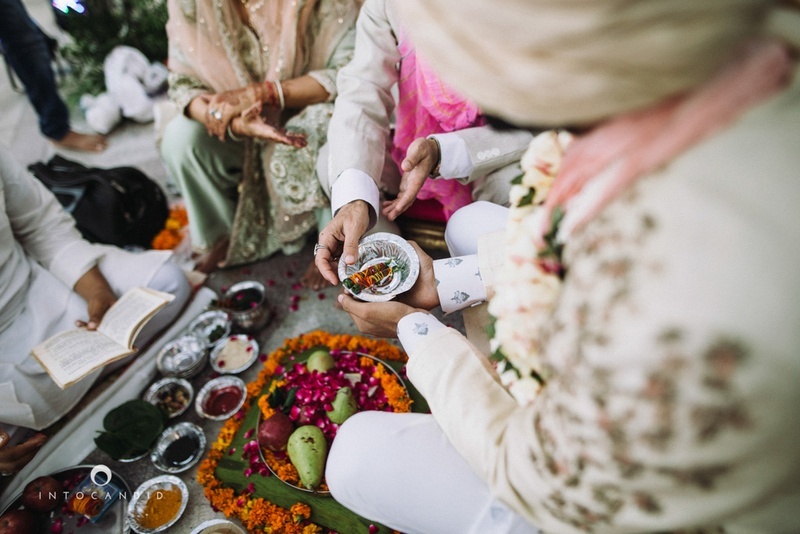 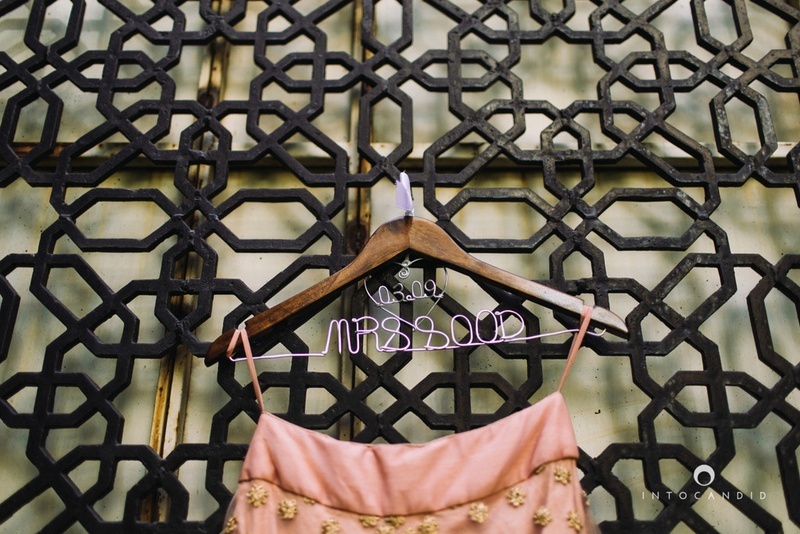 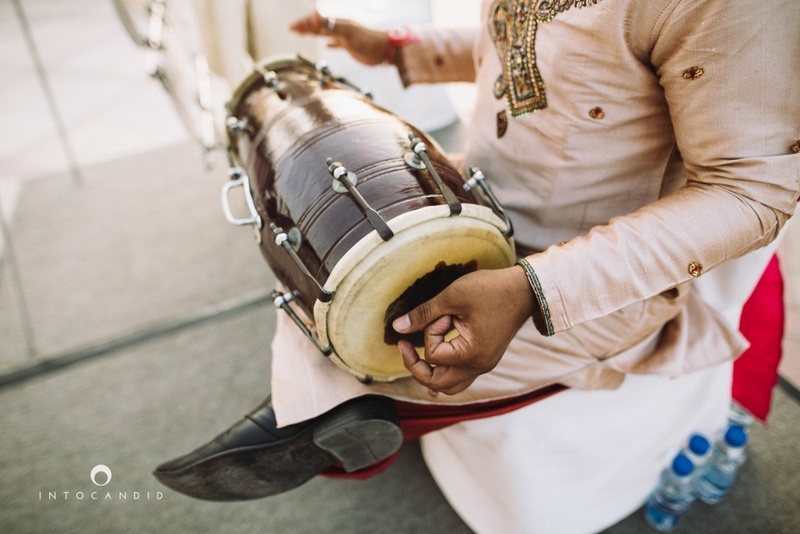 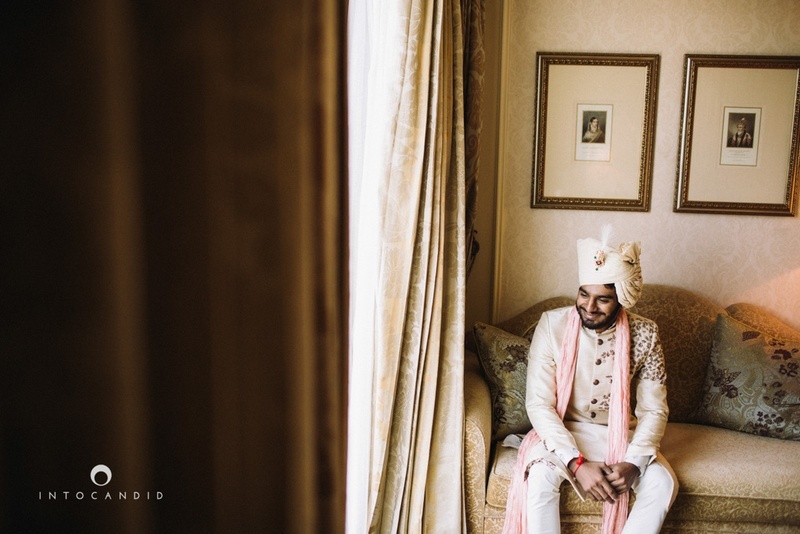 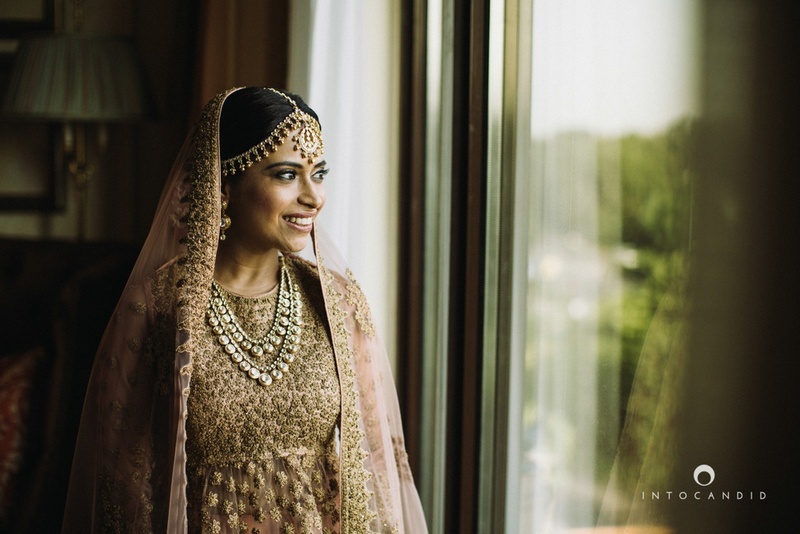 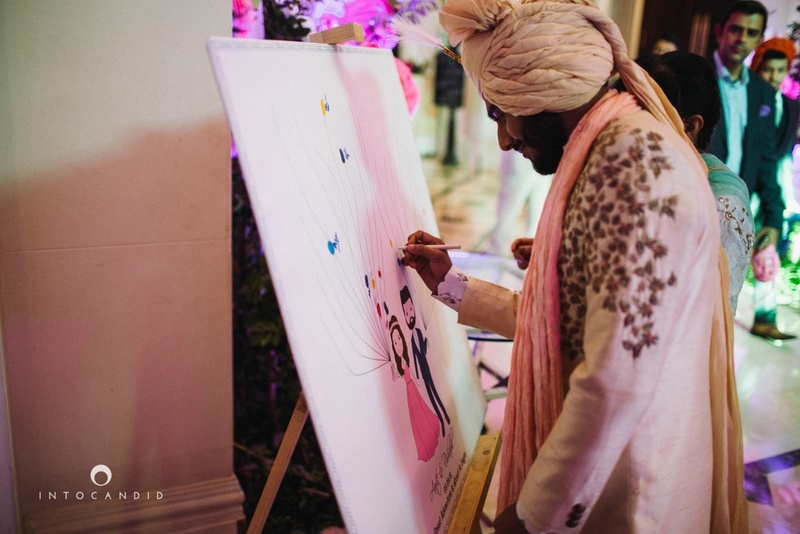 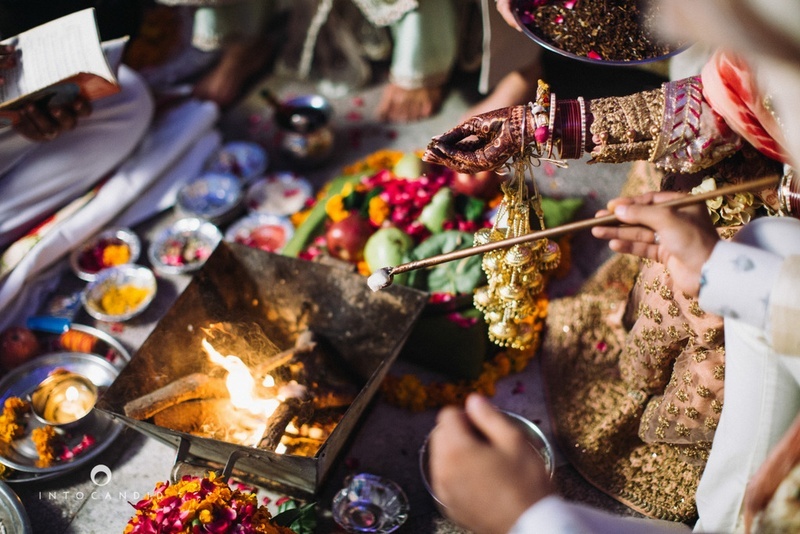 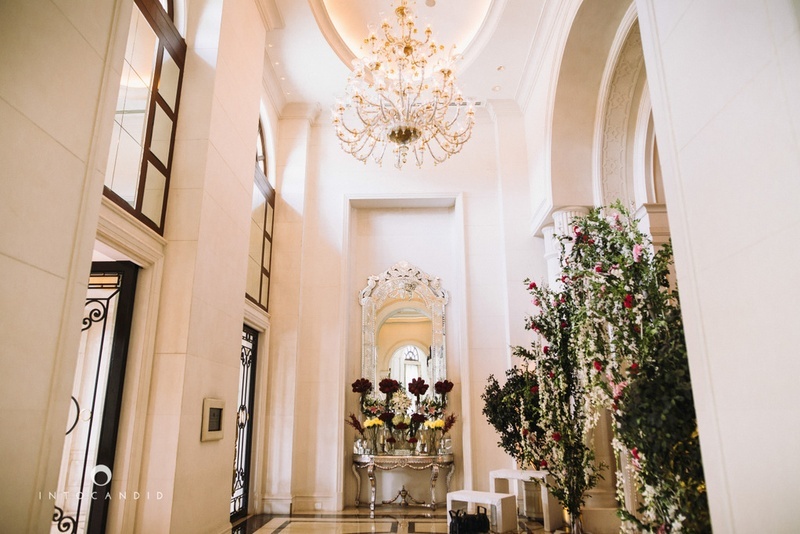 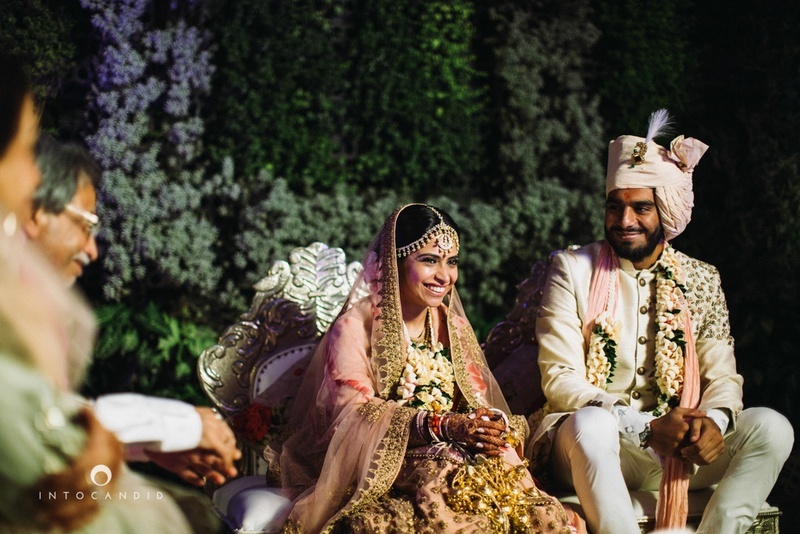 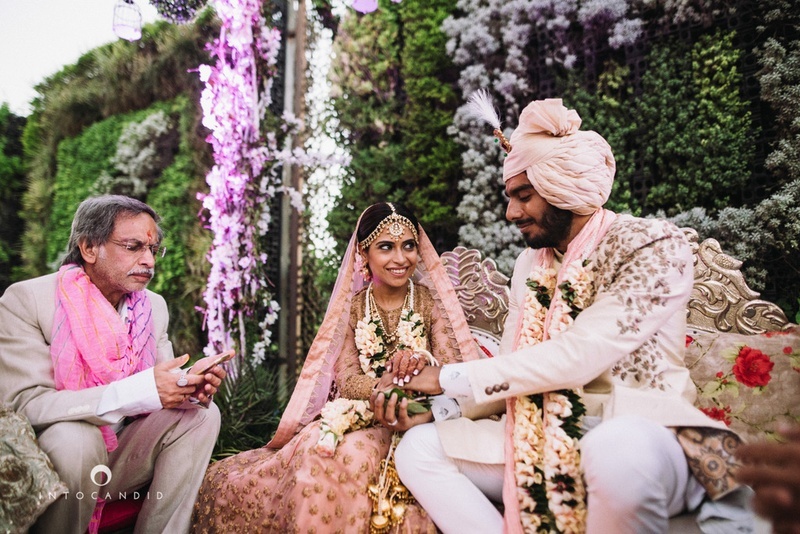 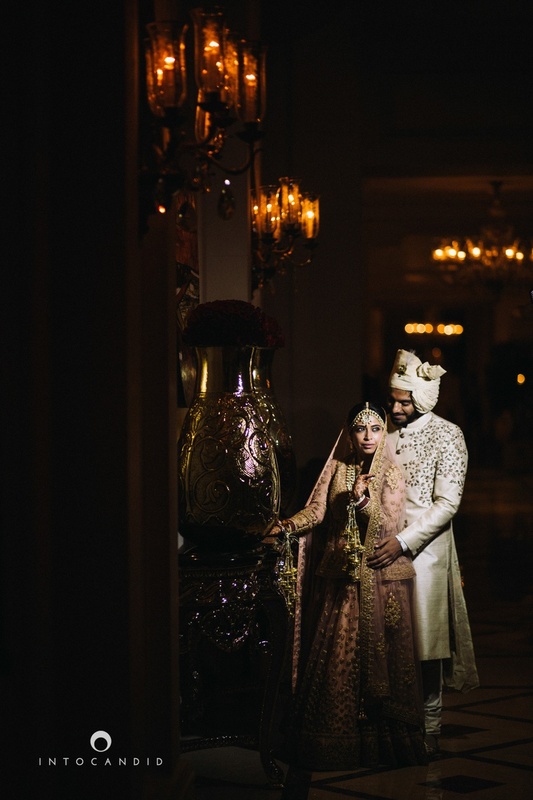 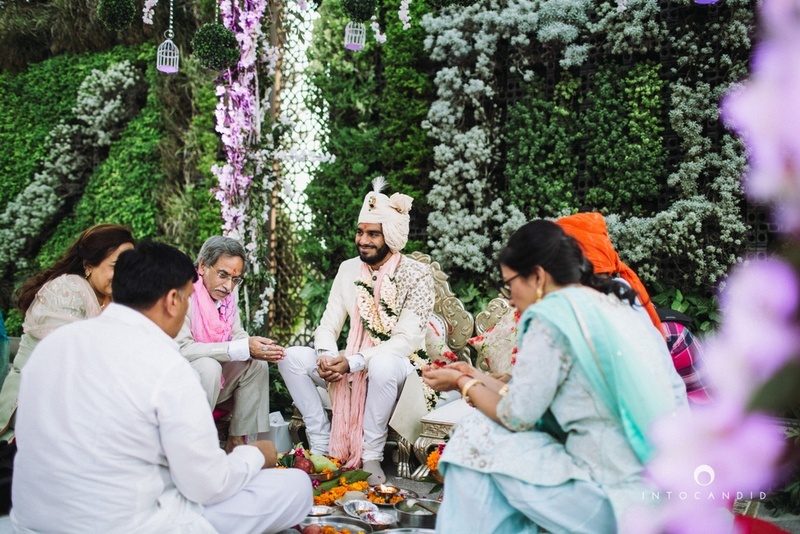 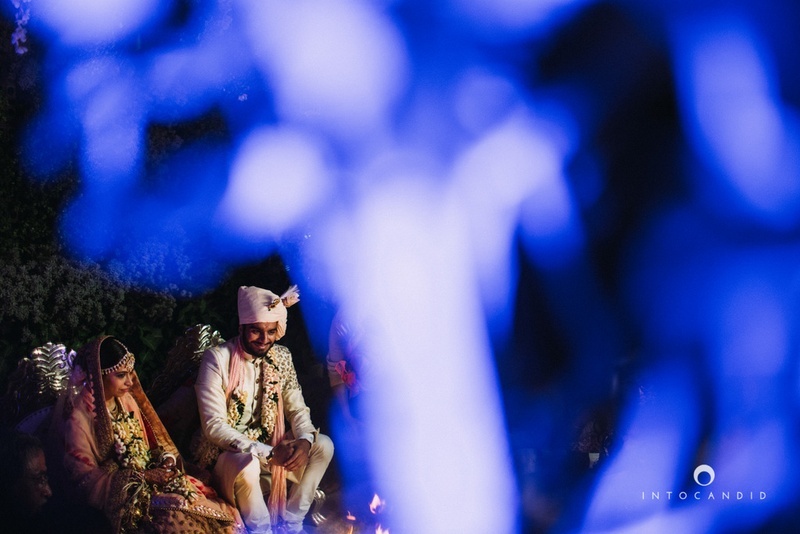 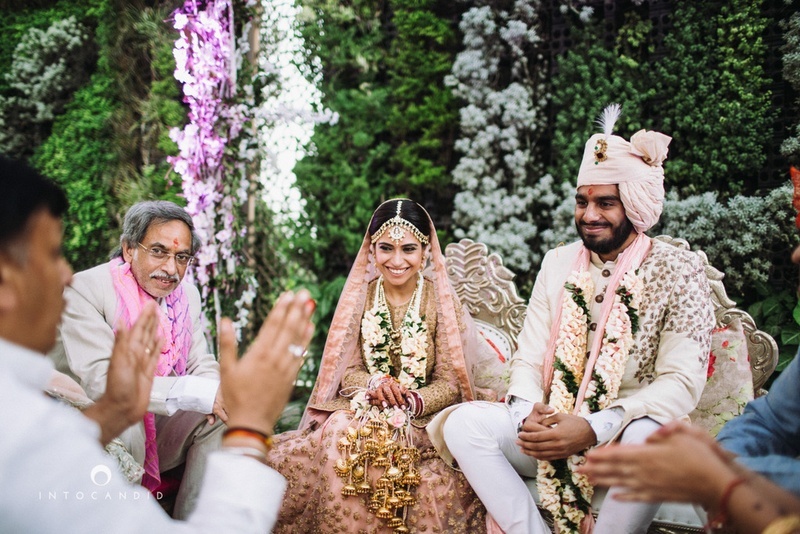 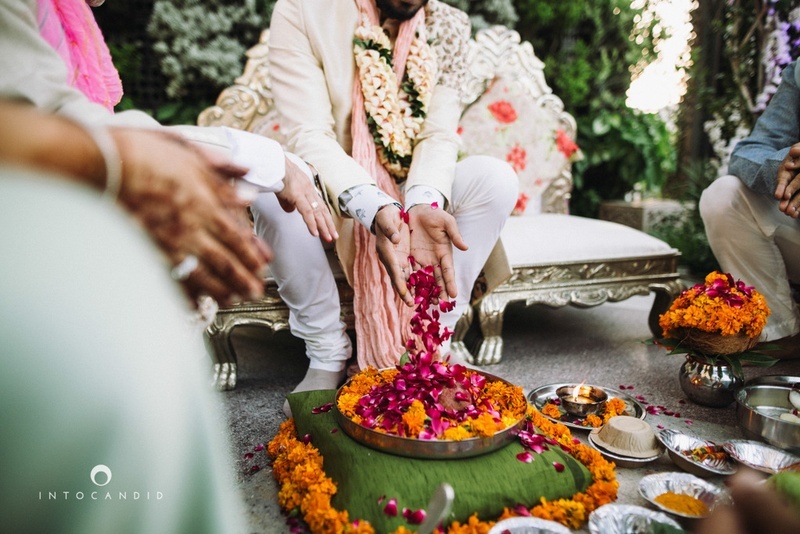 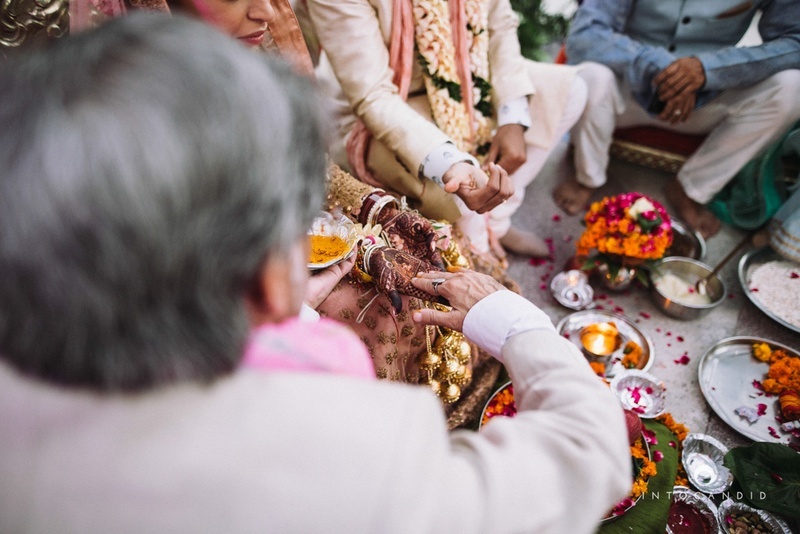 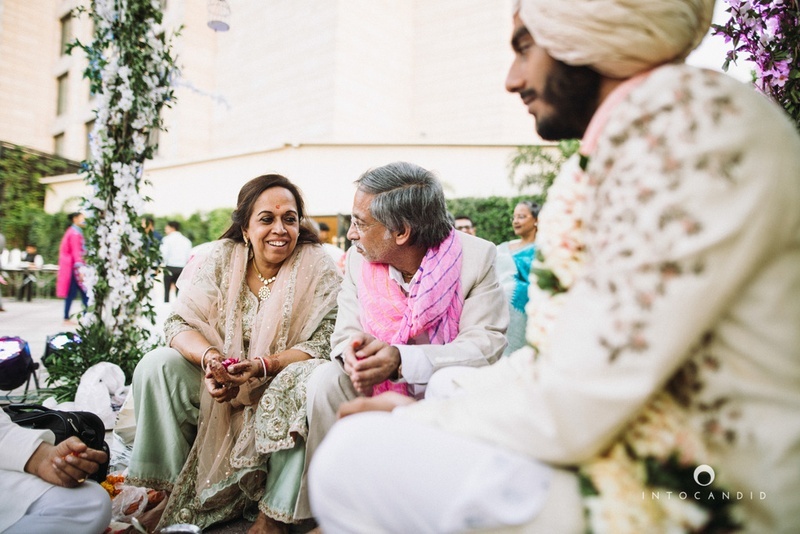 Aarti and Rishabh's beautiful and intimate wedding took place at The Leela Palace in Delhi. 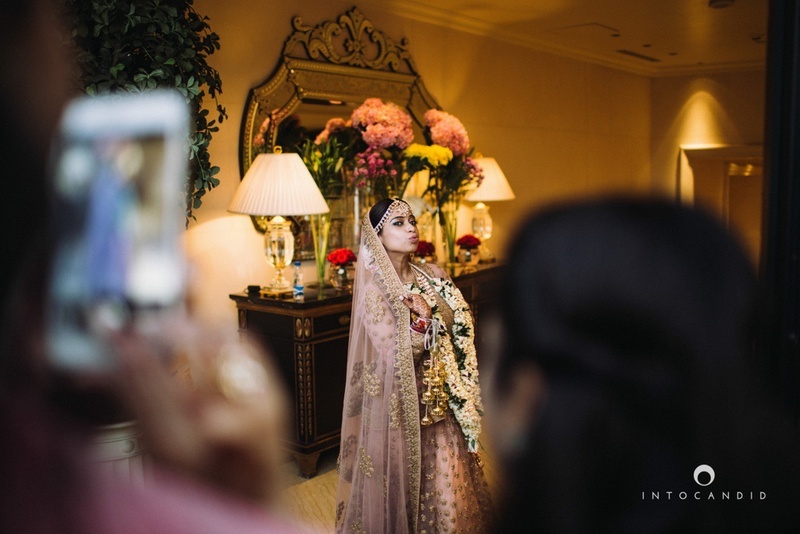 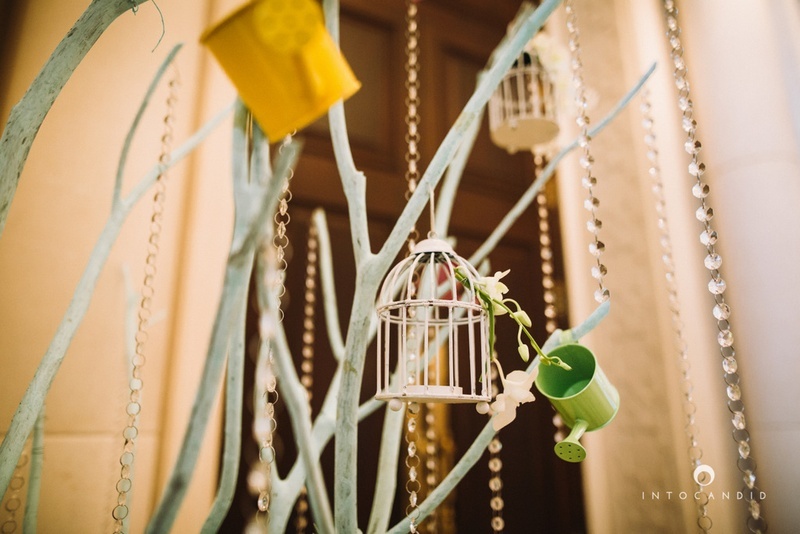 Aarti being an event planner herself had taken utmost care of the decor and needless to say, everything looked beyond gorgeous! 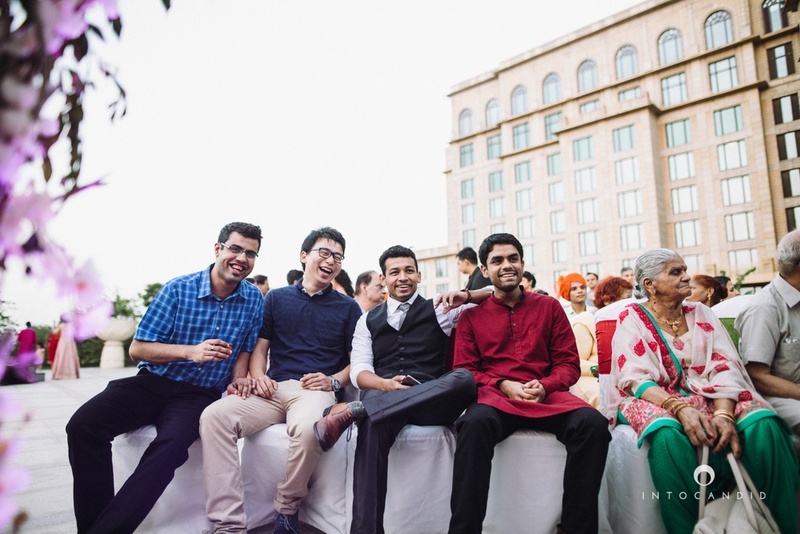 It is certainly what stood out at this wedding. 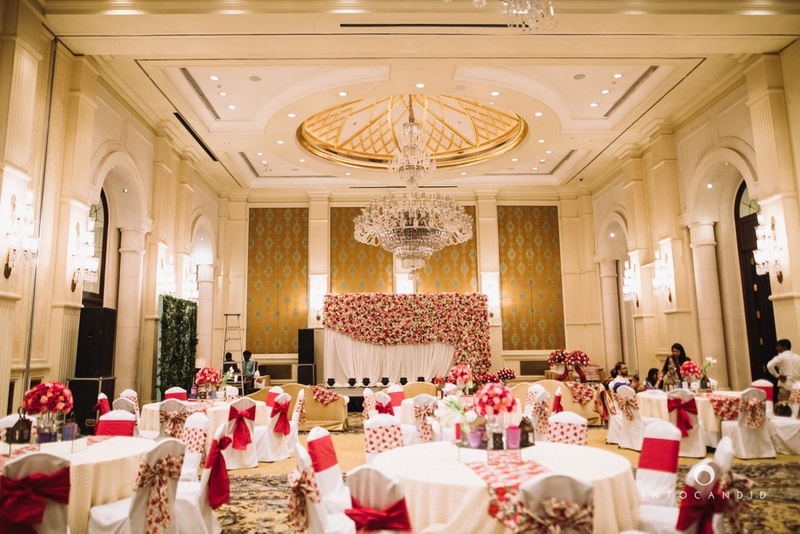 But amongst all the stunning wedding decor, the florally decorated mandap is what we loved the most! 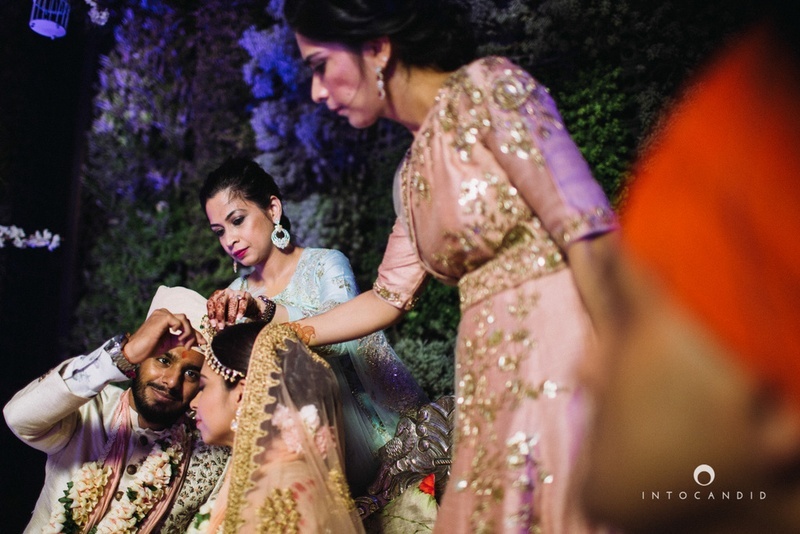 Brilliantly captured by Into Candid Photography. 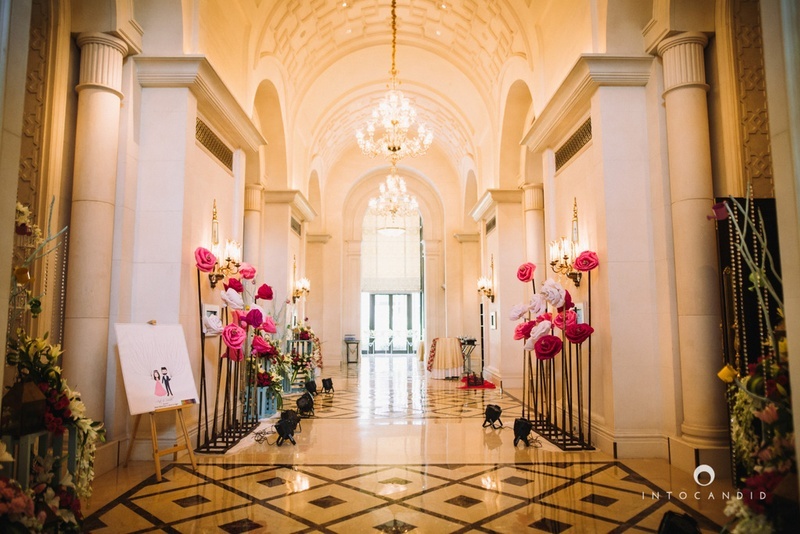 Wedding entrance decorated with flowers! 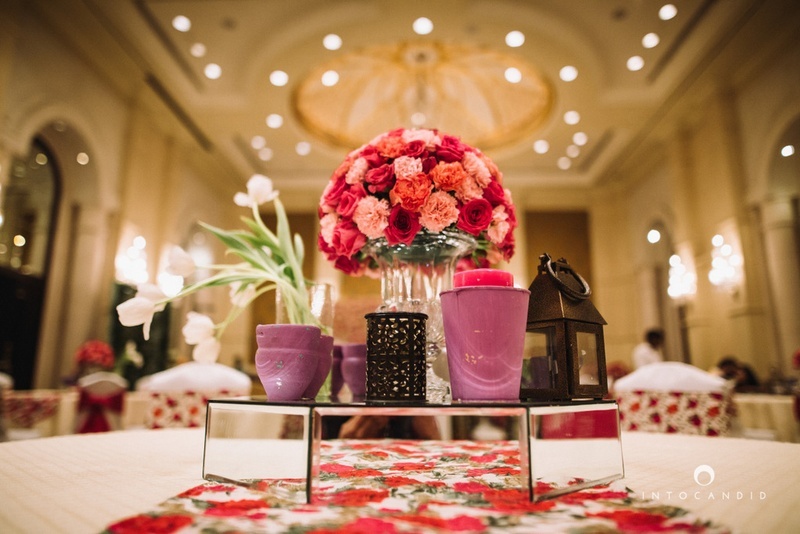 Red and white decor settings for the wedding venue. 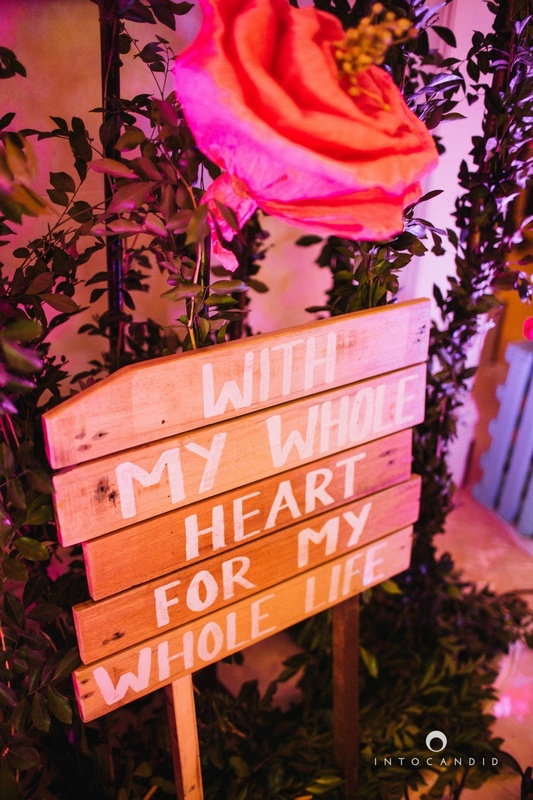 Cute message signage at the entrance . 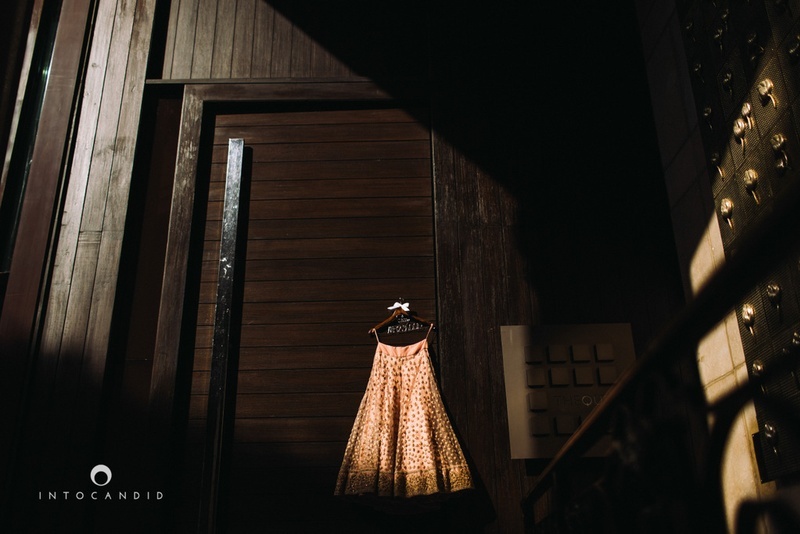 Bridal wear photography by ace photographer Into Candid Photography. 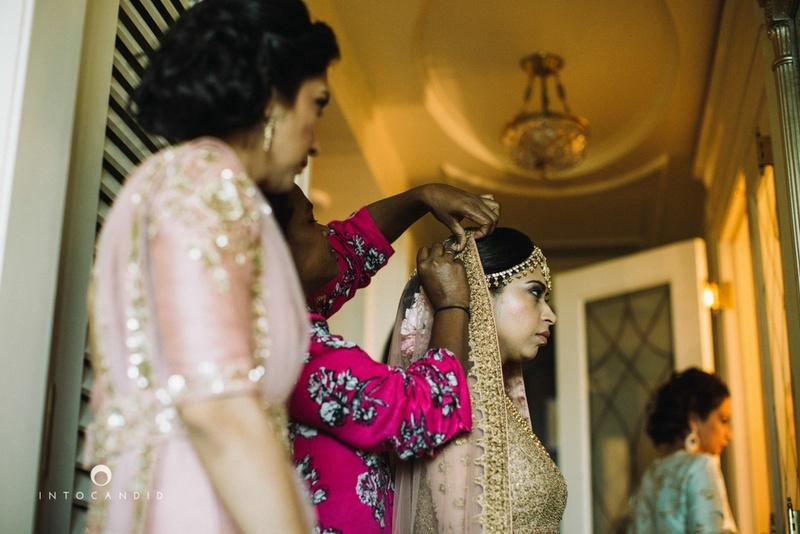 Aarti getting ready for the big day. 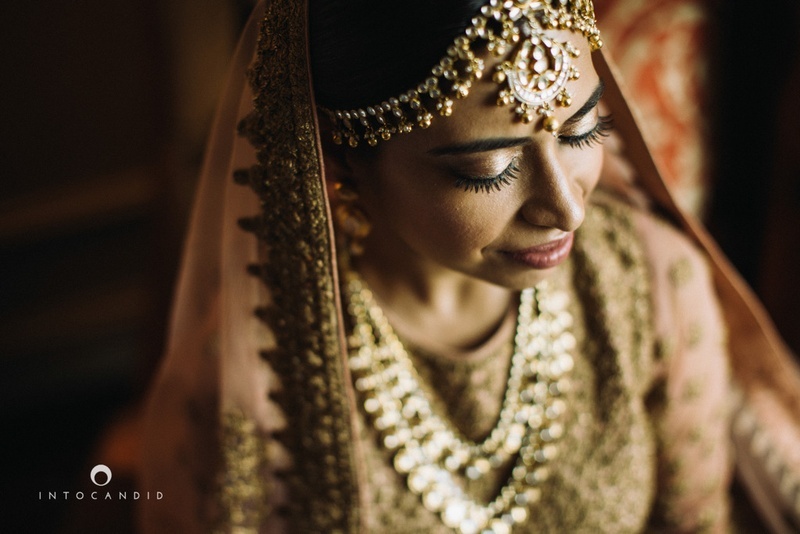 Wearing double string polki necklace and a beautiful polki mattha matti for the wedding ceremony. 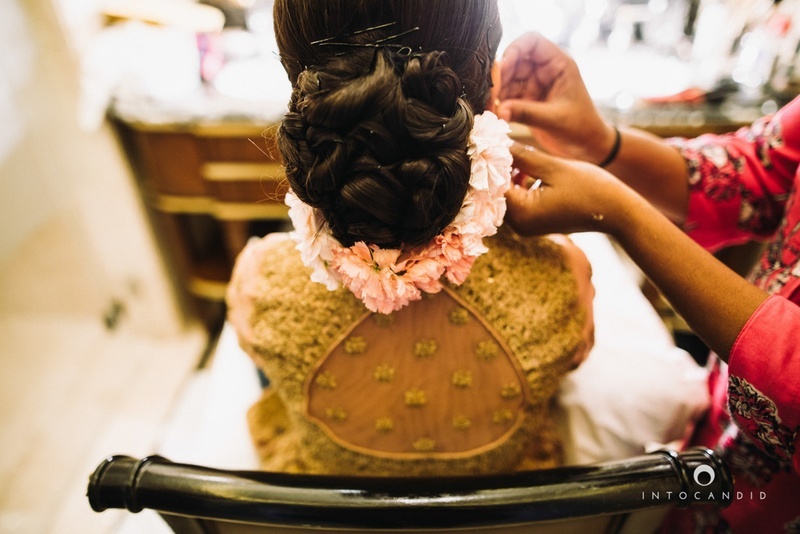 Bridal bun with pastel pink flower decorated around. 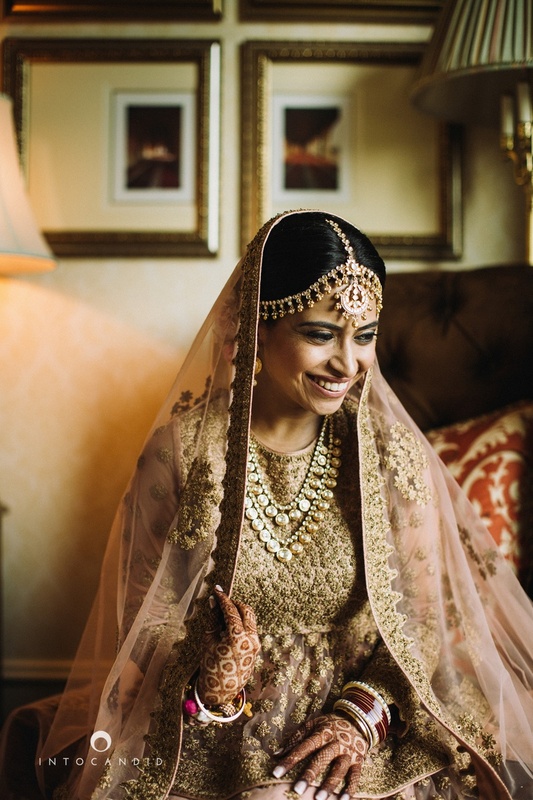 Wearing beige and baby pink bridal lehenga with heave gold embroidery styled with polki neck piece and polki mattha patti. 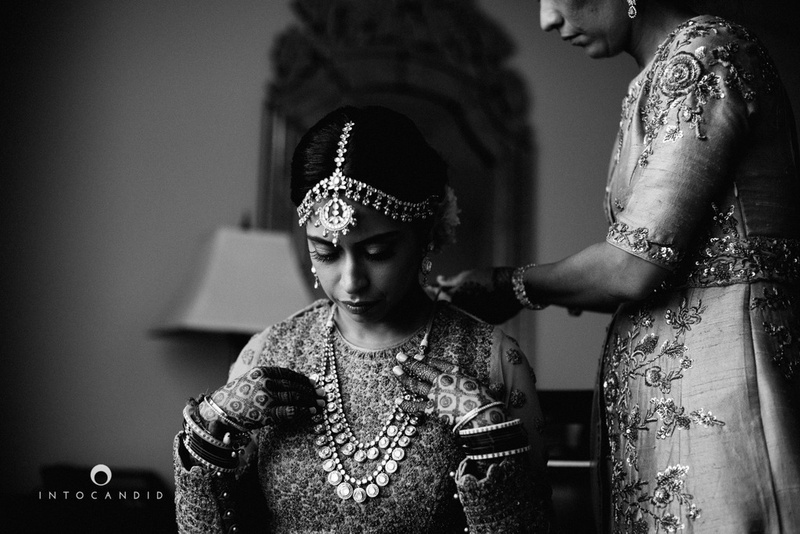 Bridal shot by Into Candid Photography. 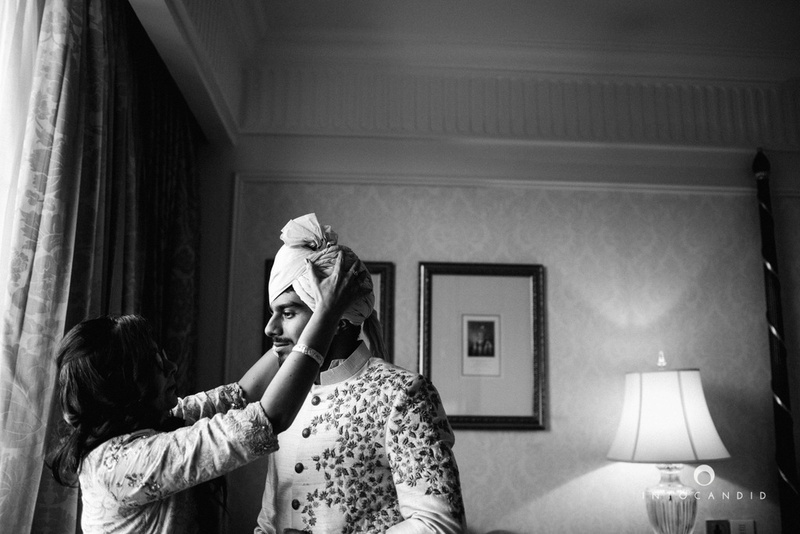 Rishabh getting ready for the wedding ceremony held at The Leela, Delhi. 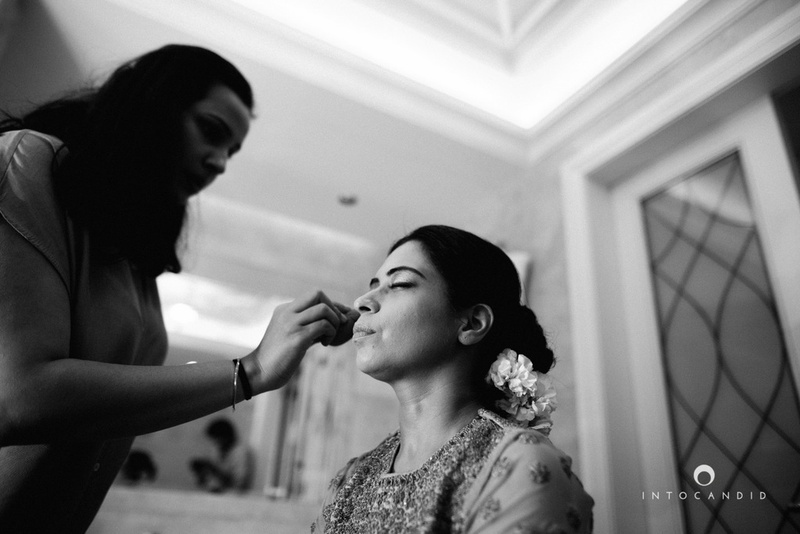 Black and white photography by Into Candid Photography. 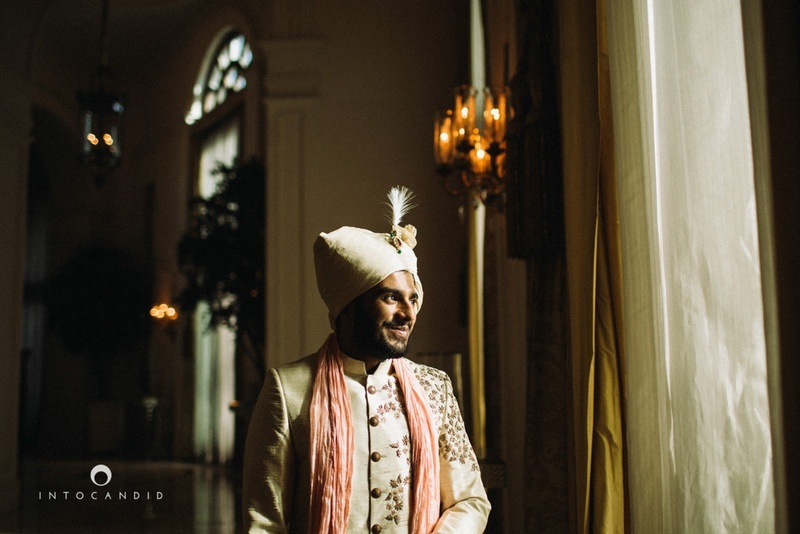 Wearing off white sherwani with embellishments on the shoulder paired with baby pink dupatta and off white saafa. 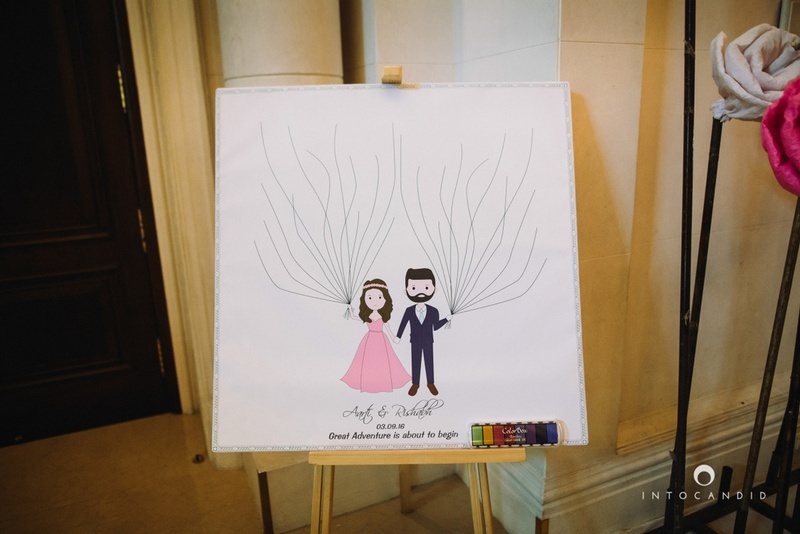 Cute and quirky signage at the wedding entrance! 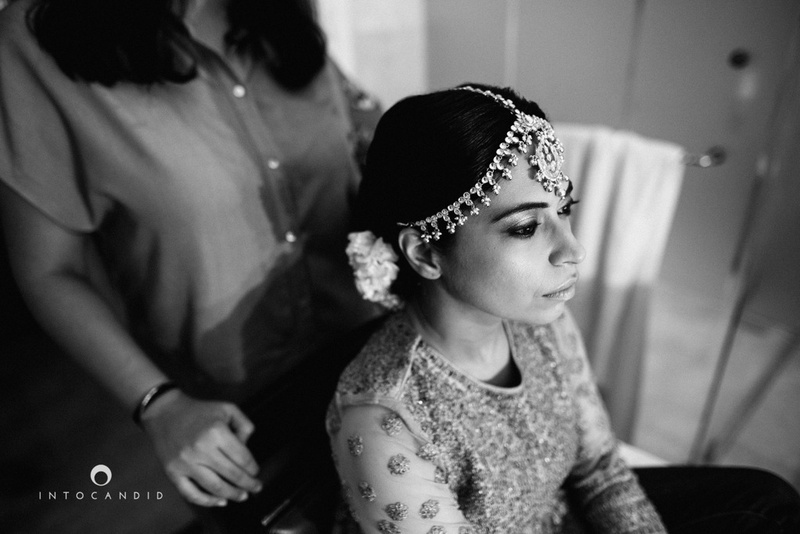 Bride all set for the wedding ceremony. 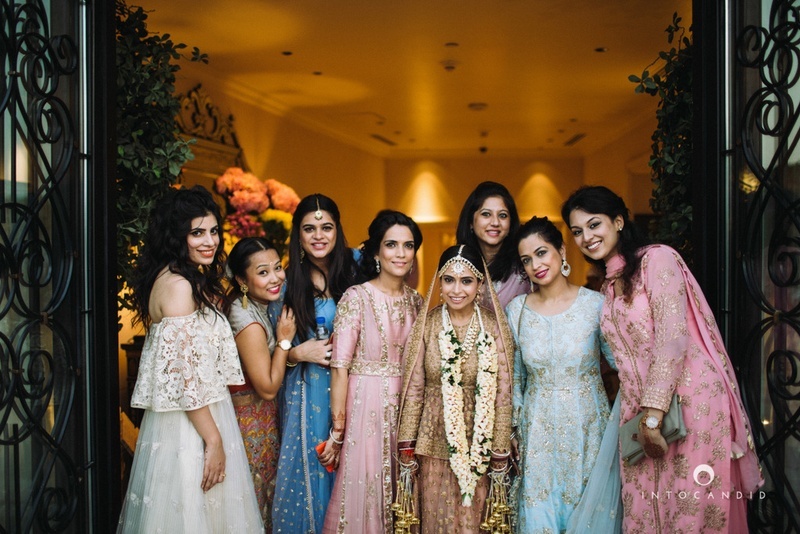 Bridesmaids squad - All wearing shades of pastels for the wedding ceremony. 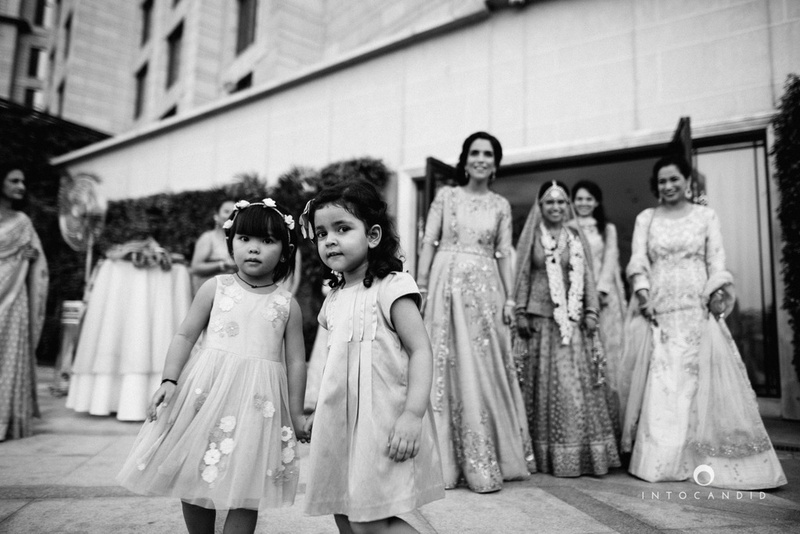 Cute kids at the wedding! 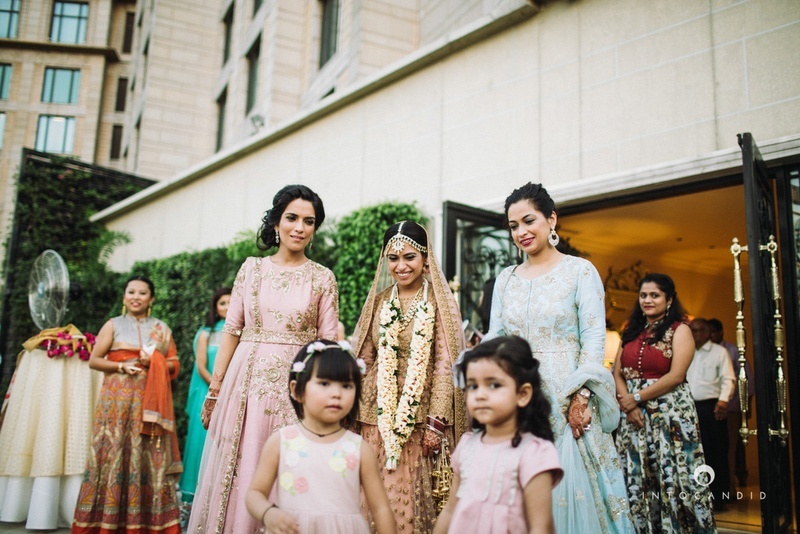 Entering the wedding ceremony with her bridesmaids. 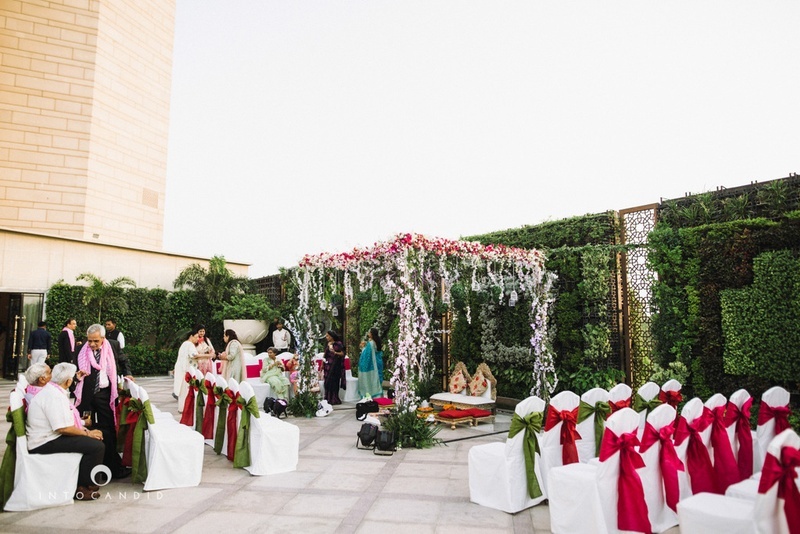 Wedding mandap beautifully decorated with white red and green flowers. 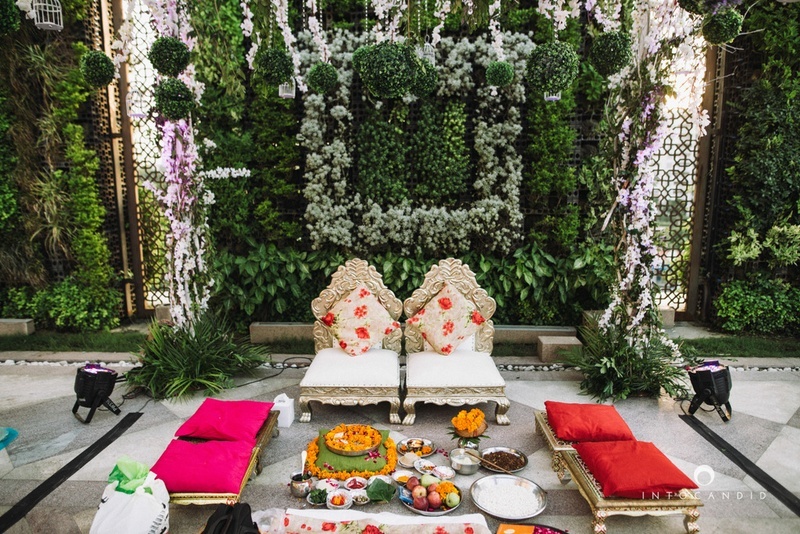 The beautifully green mandap backdrop! 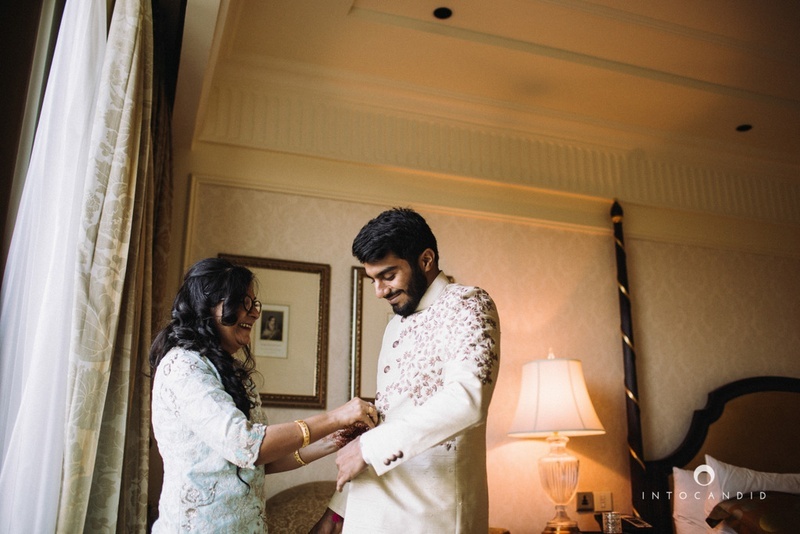 Wearing color coordinated outfits for the wedding ceremony. 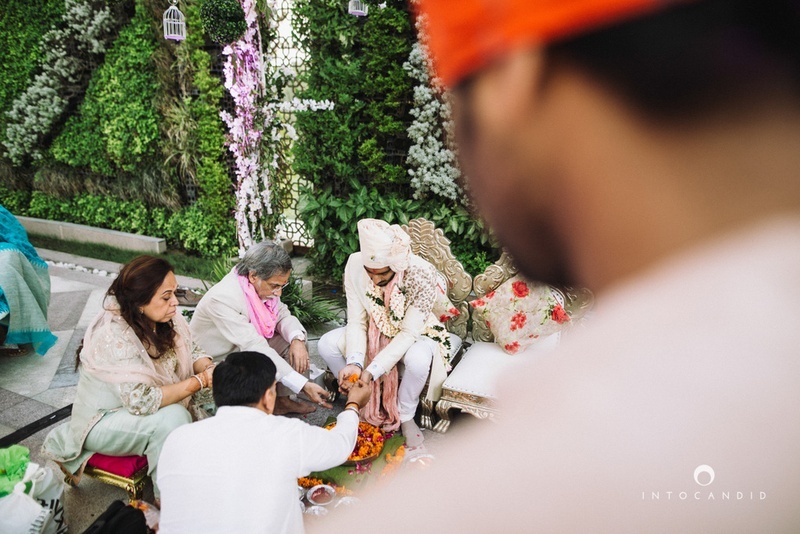 Wearing beautiful white flower garlands. 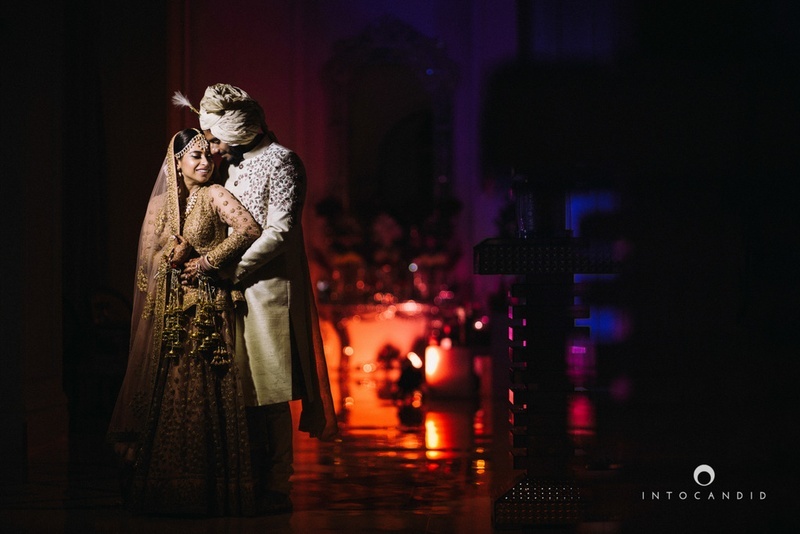 Wedding couple photography by ace photographer Into Candid Photography.